The 2018 X3 M40i is a refreshing return to form for BMW, and a promising sign of vehicles to come. 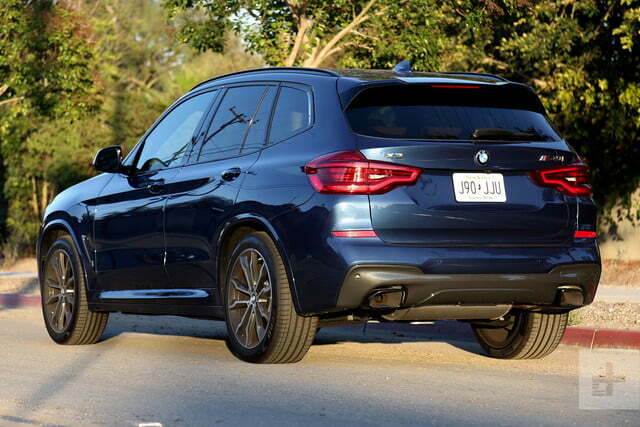 The third generation X3, introduced late last year, is not among BMW’s worst offenders. 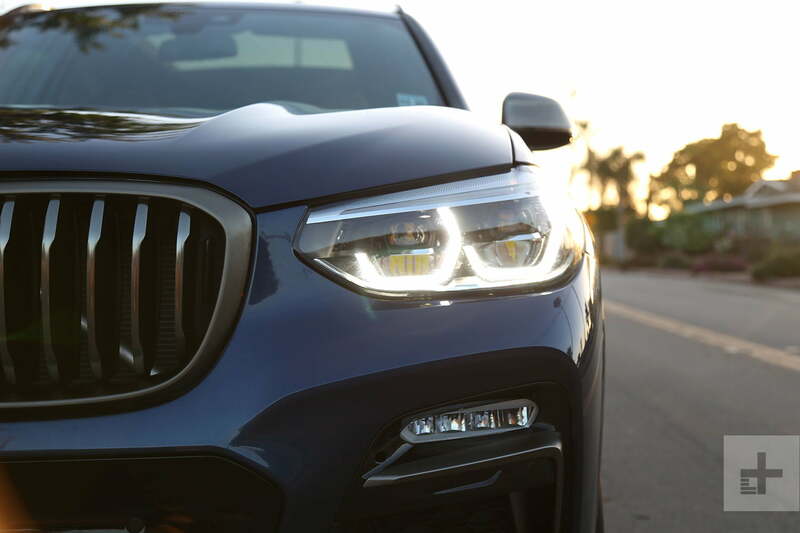 With a potent 2.0-liter turbocharged engine and stellar handling, the new X3 is one of the best compact luxury SUVs on sale. Sounds like an ideal platform for an M Performance model, right? BMW thought so, too. The 2018 X3 M40i ($55,495) packs a generous helping of horsepower to go with improved braking and handling. Facing off against rivals like the Mercedes-AMG GLC43 ($57,245) and Audi SQ5 ($55,275), BMW needs some classic moves to come out on top. 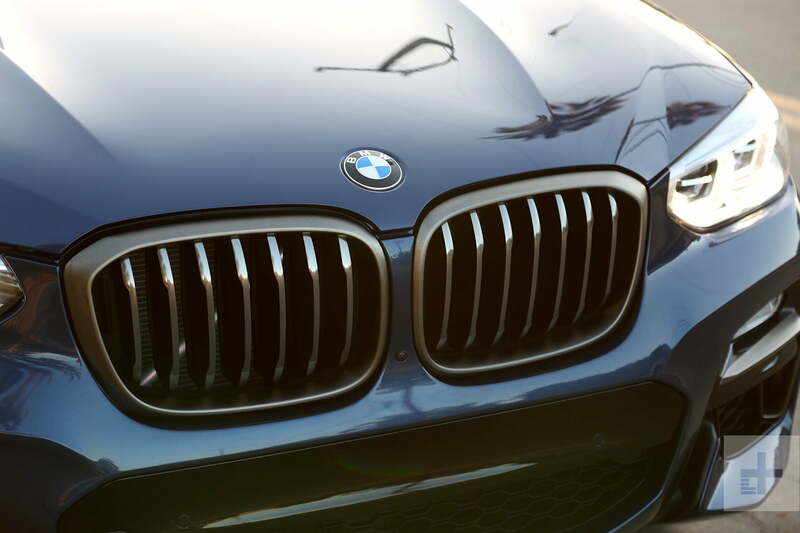 M Performance styling enhances the X3’s curb appeal appreciably — without breaking its refined code. Superb fit and finish accompanies high-tech amenities like a 10.3-inch touchscreen infotainment (an upgrade over the standard 6.5-inch unit), 12.3-inch digital driver display, color head-up display, and a wireless charging dock. 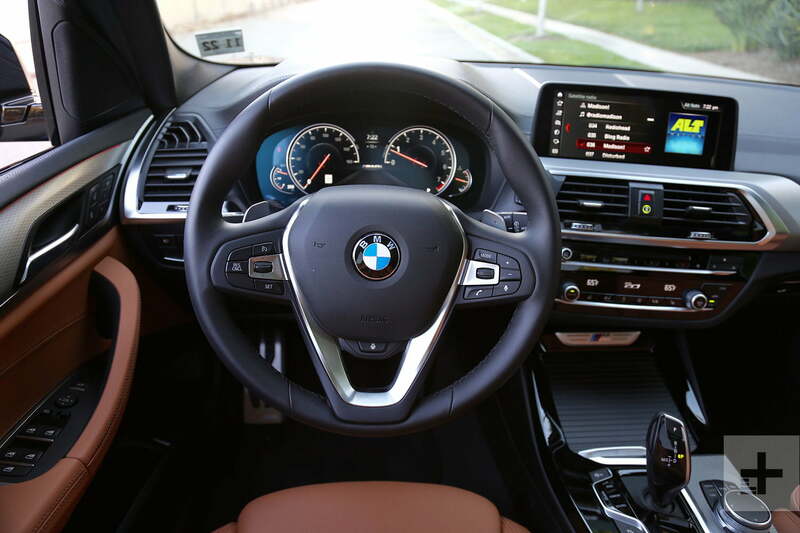 BMW’s iDrive system grows even more intuitive, responsive, and advanced with each new iteration. We love the display’s tiled arrangement for quick access to key functions like vehicle settings, navigation, weather, traffic, and media, but can’t understand charging $300 for Apple CarPlay or neglecting Android Auto entirely. 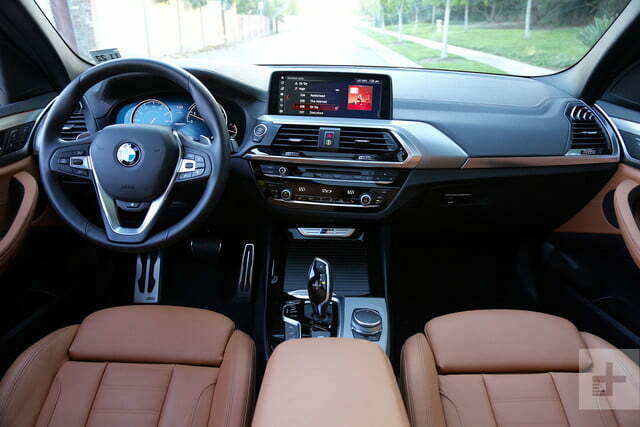 With a 2.2-inch longer wheelbase than the previous X3, the latest SUV has excellent interior volume for four adults (five when needed). Head and legroom for all riders is generous, and a panoramic sunroof provides subjective atmosphere. Furthermore, BMW’s smart storage solutions, including front door drink cubbies to accommodate 64-oz. bottles, keep loose items from floating around the cabin. 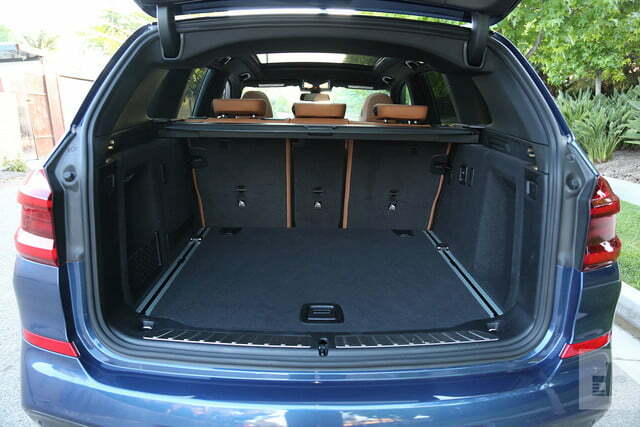 Trunk space is also among the best in class, with 29 cubic feet available behind the 40/20/40 split folding second row, and 63 cu. ft. total with seats folded. By comparison, Audi’s SQ5 offers 27 cu. ft. behind the second row, and Mercedes-AMG’s GLC43 has just 19 cu. ft.
Apple CarPlay isn’t the only thing BMW puts in the options column. 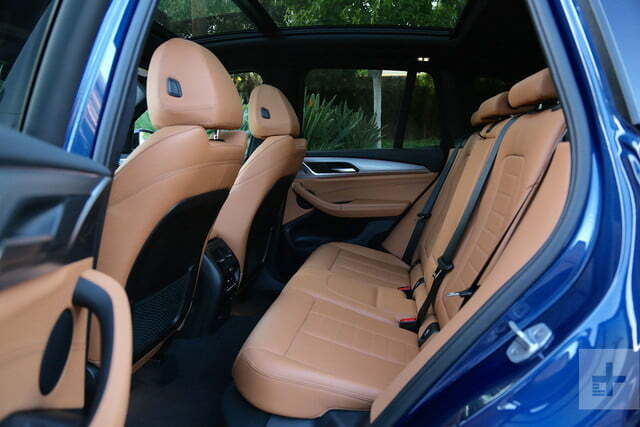 Driving aids that come standard on far more affordable cars are grouped into two expensive packages on the X3. Driving Assistance ($900) includes blind-spot monitoring and lane-departure warning, but full-speed adaptive cruise control, automatic emergency braking, lane keeping assist with side collision avoidance, front cross-traffic alert, traffic jam assist, and evasion assist are reserved for the Driving Assistance Plus package ($1,700). 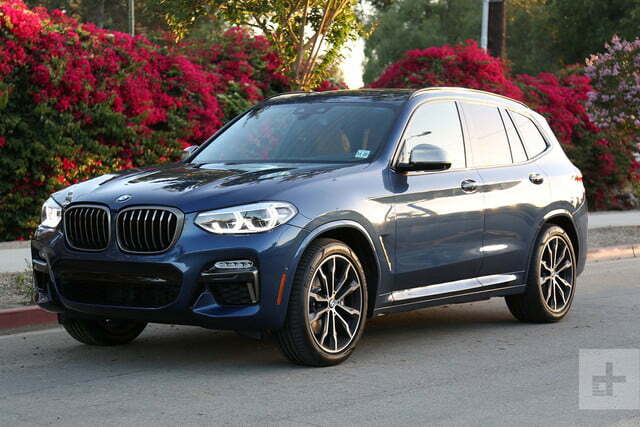 The X3 M40i’s $12K premium over the base xDrive30i must now be substantiated. 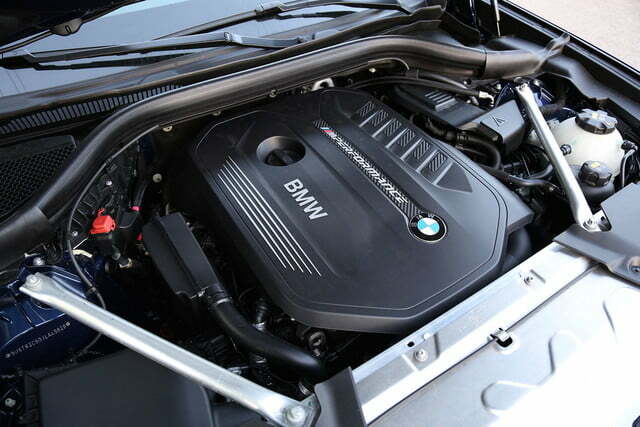 A turbocharged 3.0-liter inline six-cylinder seems a good place to start. 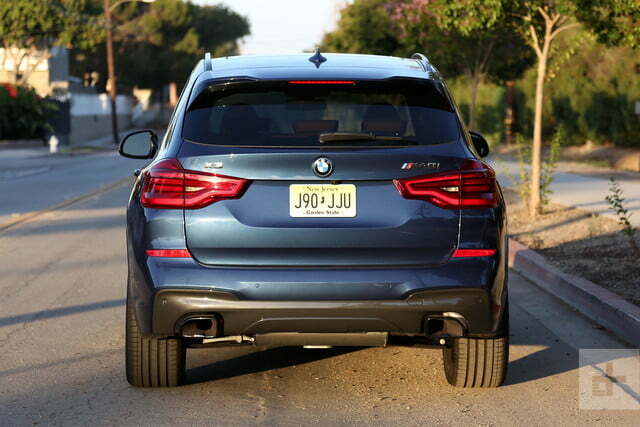 Sporting two more cylinders than the entry-level X3, the M40i produces 355 horsepower and 369 pound-feet of torque. A re-tuned eight-speed automatic transmission delivers power to all four wheels, facilitating a 0 to 60 mph sprint of just 4.4 seconds and a top speed of 155 mph (electronically limited). Both the fractionally less potent Audi SQ5 (354hp/369 lb-ft) and the more powerful Mercedes-AMG GLC43 (362hp/384 lb-ft) fall behind the X3 M40i in a race to 60 mph, with times of 5.1 and 4.5 seconds, respectively. Ignoring its own 4,300-pounds of heft, the M40i tracks flat through corners like a proper sports car. 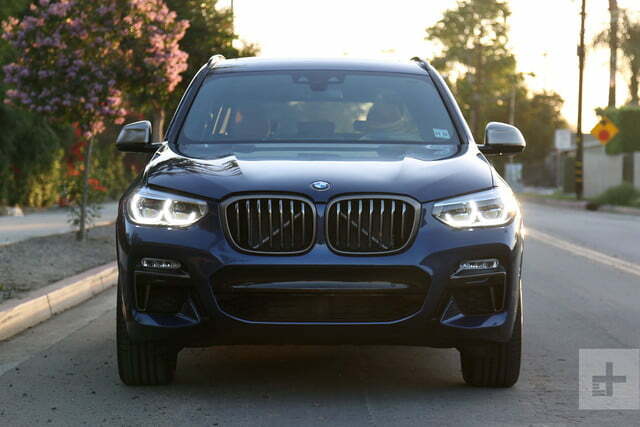 The Bimmer is just getting warmed up; agility and poise are the performance SUV’s real triumphs. An M Sport suspension, M Sport brakes, variable ratio steering system and (optional) adaptive dampers transform the X3’s driving dynamics. 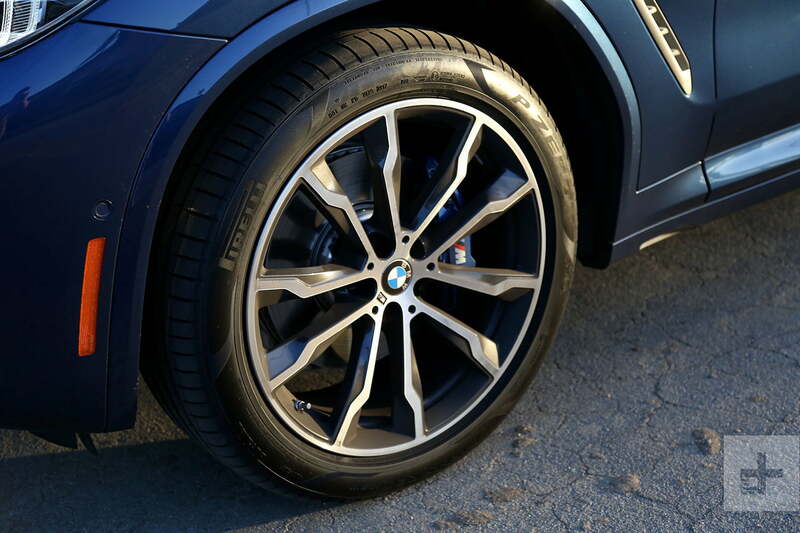 Ignoring its own 4,300-pounds of heft, the M40i tracks flat through corners like a proper sports car. 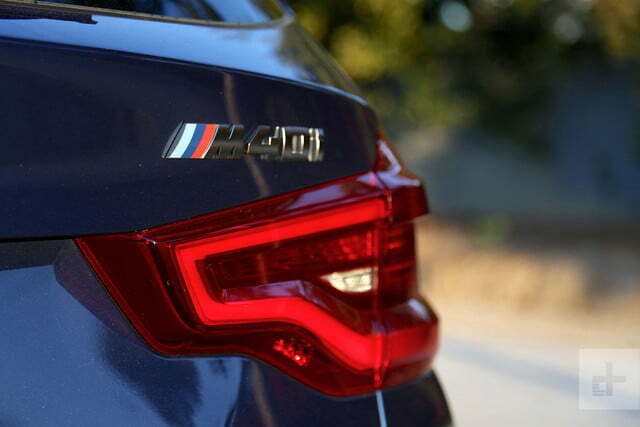 Understeer is a common curse of all-wheel drive vehicles (especially those with high centers of gravity), but the M40i is more prone to kick out its tail in a tractable drift when over-aggressed. Steering feel isn’t a particular strength of the X3, and sport drive mode’s increased resistance doesn’t help the issue, but neither the GLC43 nor SQ5 can boast better feedback. 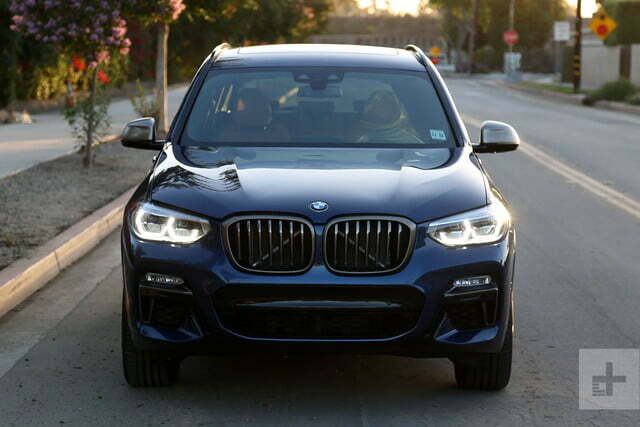 The EPA estimates 20 city, 27 highway, and 23 combined mpg for the X3 M40i, putting BMW’s compact contender ahead of both the SQ5 (21 combined) and GLC43 (20 combined) in terms of fuel efficiency. BMW offers a 4-year/50,000-mile new car warranty, including three years of complimentary scheduled maintenance. Such terms are standard for the luxury segment, though some competitors won’t match BMW’s free maintenance perk. 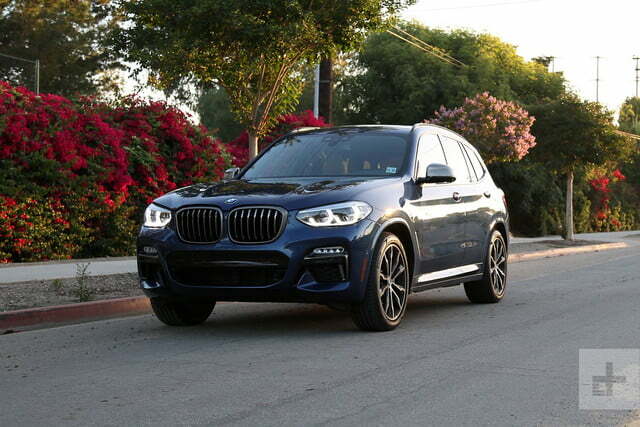 Kelley Blue Book estimates $5,600 in maintenance and repairs for the 2018 BMW X3 over the first five years of ownership – about average for the luxury compact SUV segment. 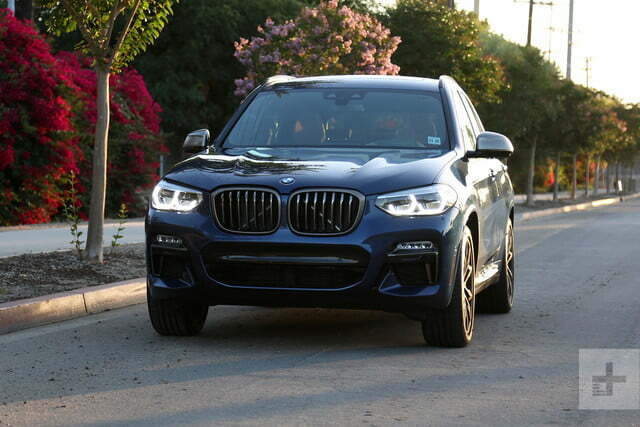 The third generation X3 has already experienced two recalls for non-critical issues, though it’s too early to question the vehicle’s durability. Online, owners of the previous generation X3 report strong reliability overall. 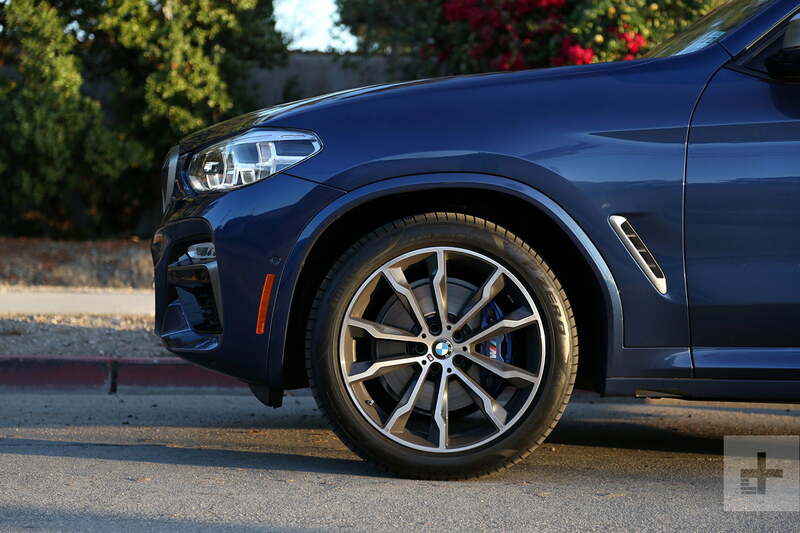 Our perfect X3 M40i is a spitting image of our test model, starting with BMW’s Phytonic Blue Metallic paint ($550) and 20-inch style 699M bi-color alloy wheels ($950). 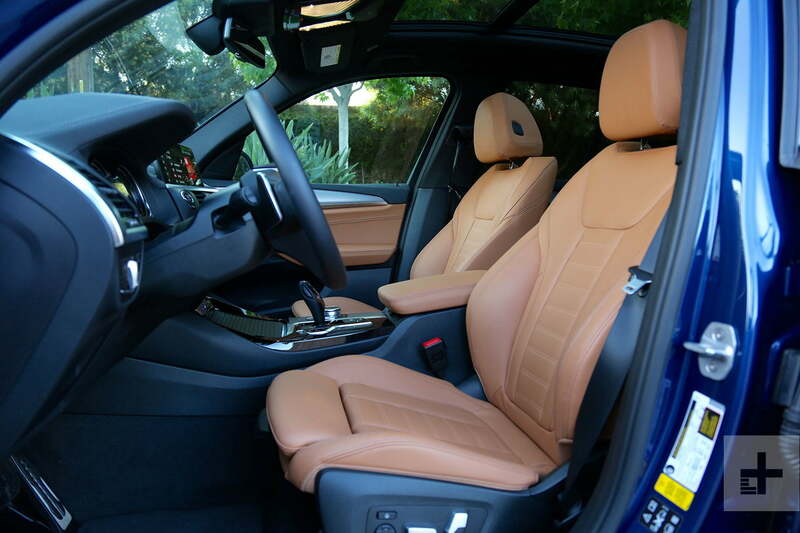 Inside, we’d choose the Cognac Vernasca Leather ($1,700) over the standard leatherette material, paired with aluminum “rhombicle” trim. Preferred packages include the Driving Assistance ($900), Driving Assistance Plus ($1700), Premium Package ($2,950), and Executive Package ($2550). This gives us BMW’s full suite of driver aids, a 360-degree camera system, navigation, head-up display, digital driver display, and gesture control (among other goodies). Two more standalone options – Apple CarPlay and Adaptive M Suspension – round out the options list. 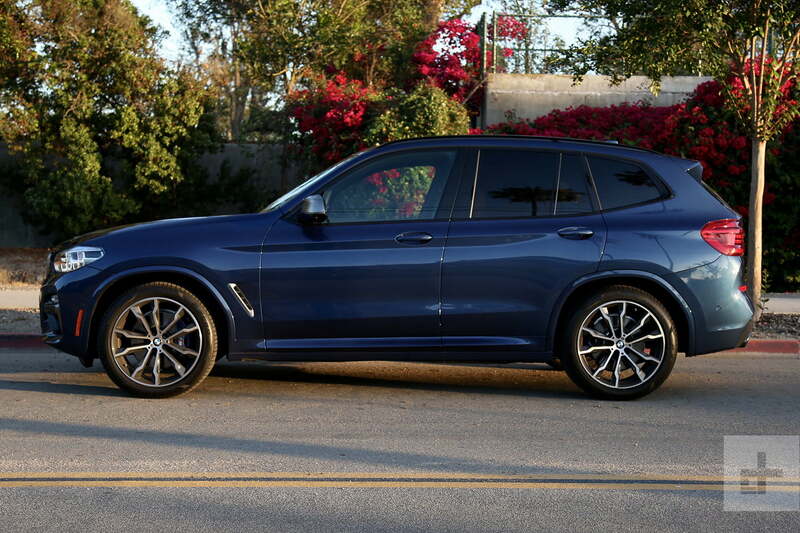 With $11,450 in extras, our configured X3 M40i costs $66,945 (including destination charges).